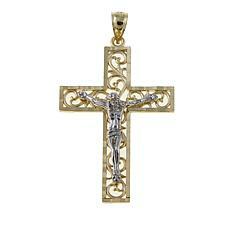 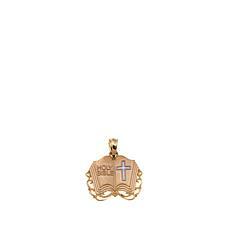 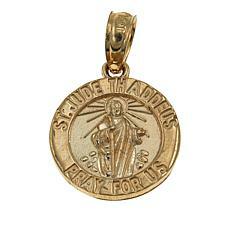 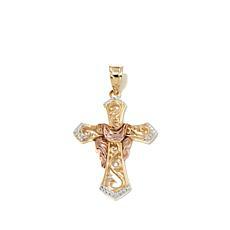 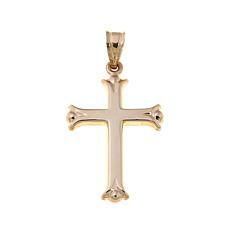 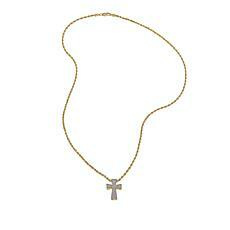 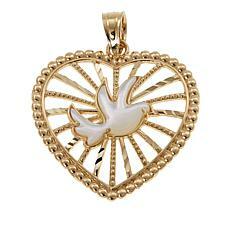 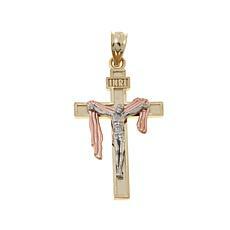 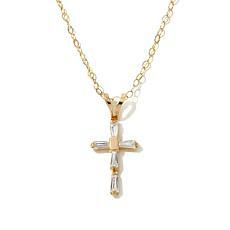 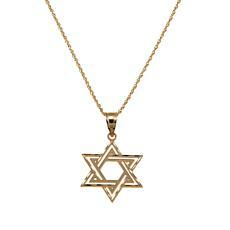 Show your devout faith in a beautiful and respectful way wearing graceful, yellow gold faith pendant jewelry. 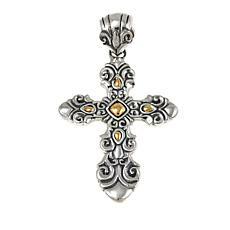 From sublime to strong, the collection of yellow gold faith pendant jewelry featured at HSN displays the Christian cross and other icons in the most stunning way. 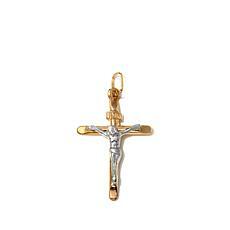 Express your faith with a simple yet elegant cross in yellow gold color, enhanced with sparkling diamonds that look like stars in heaven. 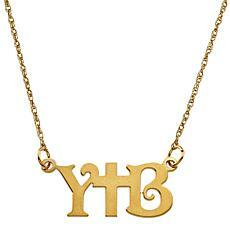 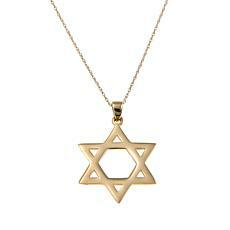 Slip this elegant pendant onto a simple gold chain to wear around your neck daily. 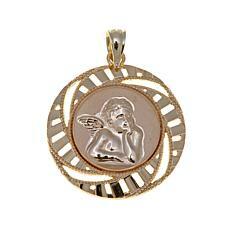 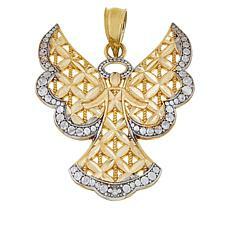 Give the gift of angelic love to someone special with a precious angel pendant. 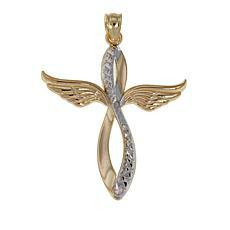 Made from precious gold and enhanced with brilliant diamonds, an angel pendant can be a daily reminder of all who love and watch over you. 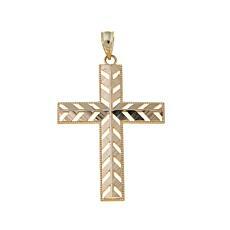 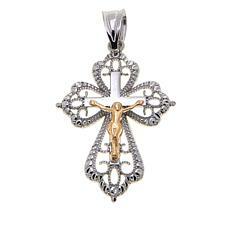 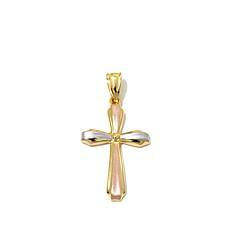 For a distinctly modern piece of yellow gold faith pendant jewelry, choose a cross detailed in fine exotic silver and gold. 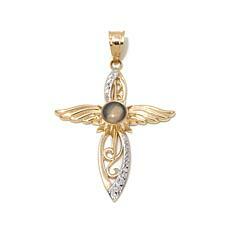 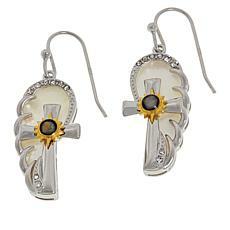 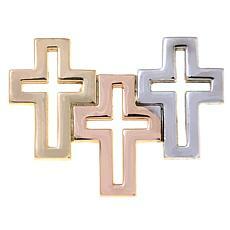 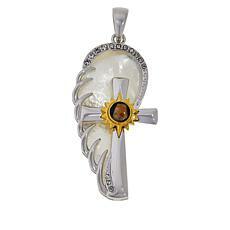 These faith pendants are handsome, bold, and show extraordinary craftsmanship. 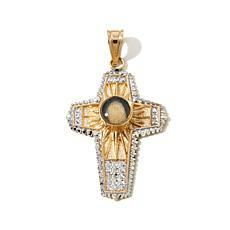 Wearing any piece of yellow gold faith pendant jewelry over a luxurious black turtleneck sweater will bring out the brilliance of the gold and showcase the thoughtful design of each piece. 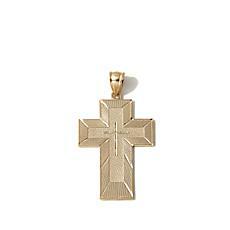 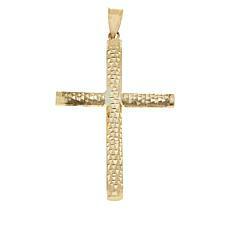 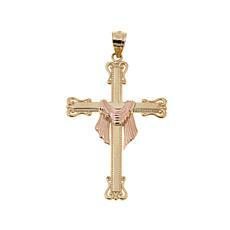 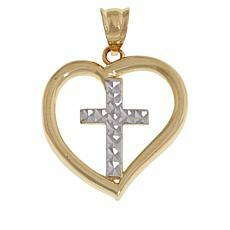 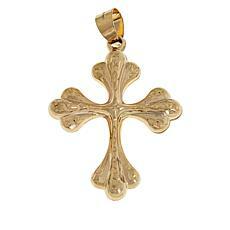 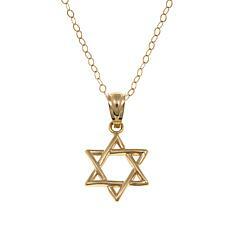 Shop HSN today to find the most beautiful piece of yellow gold faith pendant jewelry.